My favorite place to vacation is The Caribbean. At least once per year I try to take a Caribbean vacation (I try to hit someplace different each year). Warm Sandy Beaches, Palm Trees and Coconuts! I don't bring anything remotely electronic (except for my Camera) and I make it a point to disconnect! I don't know about you, but I don't consume nearly as much coconut water back home as I do on vacation, until now that is! 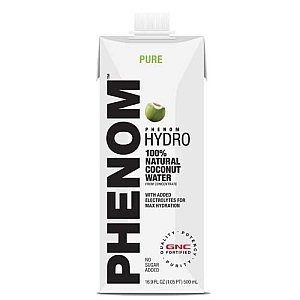 Ƹ̵̡Ӝ̵̨̄Ʒ - PHENOM HYDRO - HYDRO is 100% natural, unflavored, coconut water enhanced with a boost of 5 essential electrolytes to promote rapid hydration for a perfect balance. Containing 17 times more potassium than the leading super hydration drinks, HYDRO has more potassium than a banana. In PURE flavor. 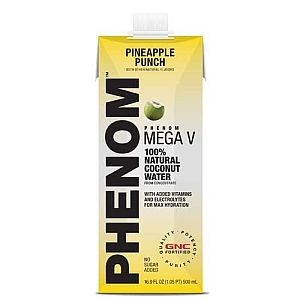 Ƹ̵̡Ӝ̵̨̄Ʒ - PHENOM MEGA V - MEGA V is 100% electrolyte-rich, 100% natural coconut water, fortified with additional premium vitamins and minerals, including 100% of the RDA of vitamin C, plus calcium, vitamin B, and more, to support health and well-being. MEGA V is enhanced with a boost of 5 essential electrolytes, including more potassium than a banana, to promote rapid hydration for a perfect balance. Available in Natural Coconut, Orange Guava Passion, Pineapple Punch. 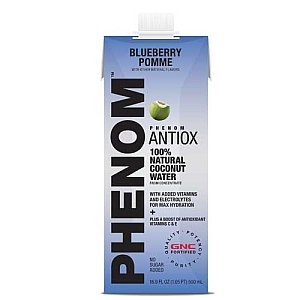 Ƹ̵̡Ӝ̵̨̄Ʒ - PHENOM ENERGY - ENERGY is enhanced with B vitamins to support energy production, plus caffeine and other energizing ingredients to boost metabolism. Its packed with vital vitamins and minerals to support health and well-being, including 100% of the RDA of vitamin C, vitamin B-12 and Niacin, plus calcium, vitamin E, and more. ENERGY is enhanced with a boost of 5 essential electrolytes, including more potassium than a banana, to promote rapid hydration for a perfect balance. Available in Acai Peach and Lemon Mojito. 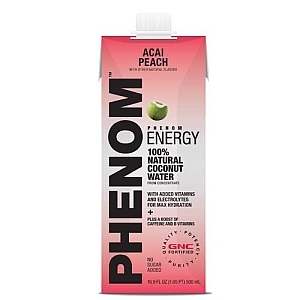 This is the closest you can come to sticking a straw into a Coconut, and the best part, you can refrigerate it and get it nice and cold, the fact that PHENOM is super charged with GNC Vitamins and Minerals makes it that much better for you! More potassium than a banana and an immunity booster naturally? Doesn't get much better! As many of you know I have dropped 26 pounds this year via small lifestyle changes, and including PHENOM into my healthier lifestyle is a simple change that is good for me, and makes my body 'feel' better. It is certainly a million times better for me than soda! And has more Vitamins and Minerals than plain water! FTC Disclosure Info for this Giveaway: I was provided product to facilitate my review. I am also eligible for additional incentives by participating in this campaign.